While everyone doesn’t have access to the ocean waves necessary for surfing, most people are situated near a lake or river. It is for these reasons that paddle boards have become immensely popular. What’s more, this fun and relaxing activity is suitable for all members of the family. How much do paddle boards cost? Paddle boards range in price depending upon the materials they are crafted from and the level of professionalism they represent. High-end boards retail under $3,000 and are available at merchants that specialize in outdoor equipment. Low-end boards can be purchased for under $500 and at many big-box stores. Higher priced paddle boards are lightweight and produced for team competition. Lower priced paddle boards are manufactured from lesser grades of plastic. Inflatable paddle boards are best for transport and traveling to a vacation locale. 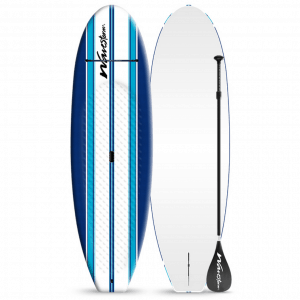 There are several options to be aware of when purchasing a paddle board for the first time. This includes its design, size, composition and adaptability. The paddle that accompanies most paddle boards is sufficient for beginners and the average paddle board enthusiast. All boards are built with a straight or flexible fin for added traction. A “planing hull” is wide and flat like a more traditional surfboard. A planing hull is exceptionally stable and a best bet for beginners. 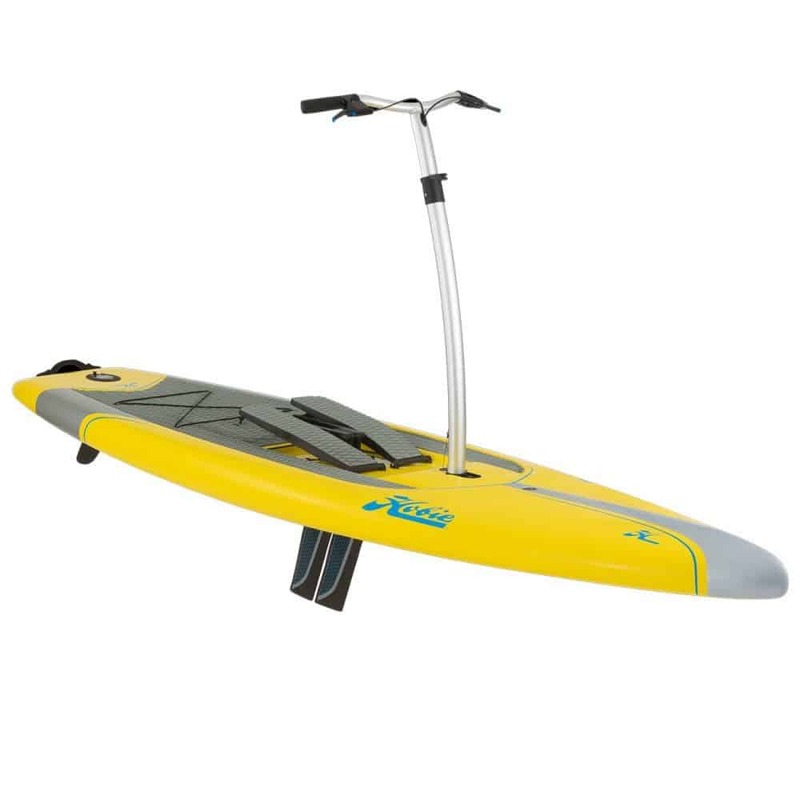 Its stability is also excellent for those who will paddle through ocean waters. A “displacement hull” works well for paddling longer distance routes. Displacement hulls more closely resemble kayaks, giving them the edge when sliding through still water. Paddle boards are generally between nine and fourteen feet long. Shorter paddle boards are used for surfing, while longer paddle boards are designed for racing. Recreational paddlers should purchase a paddle board between nine and twelve feet long. All paddle boards are produced in widths between 29 and 36 inches across. Paddle boards are produced from polyurethane foam, EPS foam and hollow plastic core. Inflatable paddle boards are composed of PVC plastic. When buying a paddle, make sure it is between six and eight inches taller than your own height. More expansive paddles retail from $50 to over $200 for professional quality. Competitive paddlers wear wetsuits for speed. These retail beginning at $50 and up. Air inflators for inflatable paddle boards are available for as little as $20. 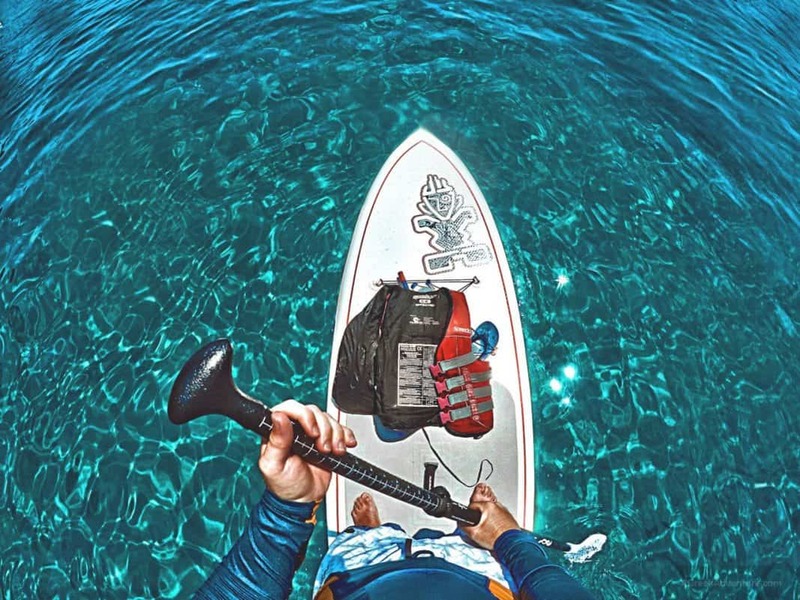 Paddlers can buy “leashes” for their boards, so they do not float away by accident. You may need to purchase a rack for the top of your car to accommodate your paddle boards. The United States Coast Guard recommends life jackets for all children, teens and average level swimmers. All paddlers are wise to wear life jackets in open water situations. Fit is important, as is your body weight. Manufacturers list weight capacity figures for this reason. First timers and travelers can rent paddle boards at their destination if desired. Beginners can save money by buying one from sporting good stores that stock gently used equipment. 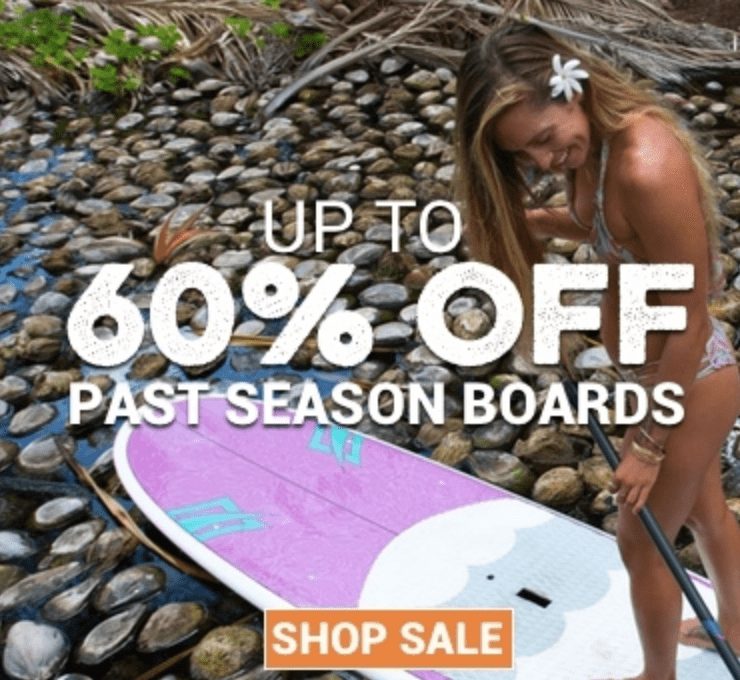 Second hand paddle boards are widely available online, as many users upgrade frequently. $2,499.00 for the 10.5 foot sold Here. This high-end paddle/ Pedal board is known for its easy setup and fitness potential. Features include handlebars and rudder controls. To adapt this paddle board for competitive use or higher performance situations, simply lock the fin in place and remove the handlebar for speed. A mid-priced entry, this paddle board is designed for use on the bay, lake or pond. The Lakeshore is lightweight and offers speed on moving water. This board is best suited for smaller bodies of water, versus ocean waves. This lower-end paddle board offers stability in flat water. Users have the advantage of three fins to help them adjust to changing water patterns. Also included with purchase is the paddle, leash and strap to secure accessories or lifejacket. I would consider this the best bang for your buck especially for a “few times a year” paddle board. I own one myself. Composed of foam top and HDPE bottom skin. Knowing and have a price range is good to have in mind before you go out shopping for a new board. It is also good to know so you don’t get ripped off!